New book, 242 pages. This book contains the best practices of all the United States military services, adapted for the first time for civilian use. 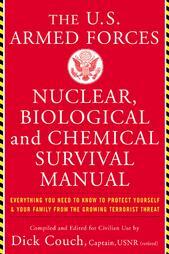 It contains everything you need to know to protect yourself and you family against chemical, biological or nuclear attack.